Lot’s to harvest this week in the garden. 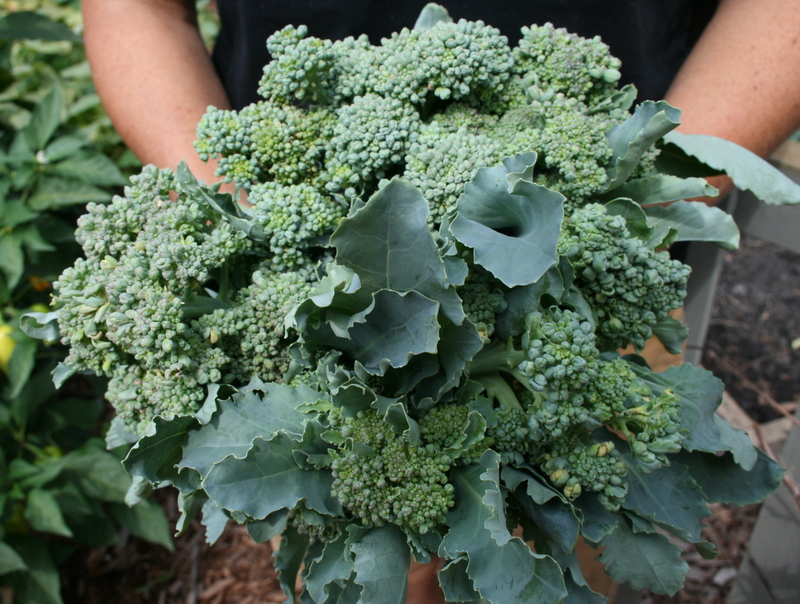 The last of the broccoli made a lovely bouquet! Previous Post Country Gardens Magazine came to visit! I actually have used broccoli for centerpieces before; I love using veggies for decoration. I even plopped into a small vase until sent them to the freezer! It was a we bit stinky! I’d be happy to receive a bouqet of broccoli like that ! I haven’t tried growing standard broccoli, I really must give it a go next year, thanks for the inspiration ! This is the first I have ever grown broccoli also. I started from seed. I really should have given it more space, but for a first try it did pretty good. Next year some of the purple variety for sure is on the list! I can’t believe I have all ready made the leap to next year garden planning!!! You have had a lovely harvest of broccoli. We snacked on some, and the rest I froze for broccoli cheese soup this Winter….Lucy and I love it. I know you will enjoy it in your soup this winter and it will remind you of summer in the garden.